Having lost the prince to the madness of The Blessing, Tejohn and Cazia are the only people who know of his plan to retrieve a secret spell that might - just might - turn the tide of battle against the grunts. But Tejohn's body is broken, and Cazia has been stripped of her magic. Worse, both are being held captive: Tejohn faces charges of treason in the lands where he was born. On the other side of the continent, Cazia is a prisoner of the Tilkilit queen, a creature with a desperate, deadly plan. 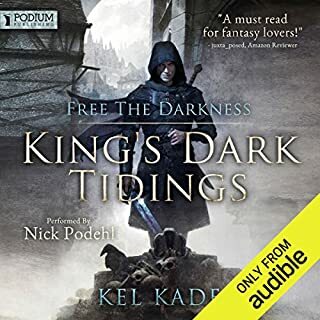 While they struggle for their freedom, The Blessing continues to spread across Kal-Maddum, their numbers growing more numerous as the human population shrinks. What had started as a race to restore an empire has quickly become a mission to save humanity from extinction. Harry Connolly's first book, Child of Fire, was listed in Publishers Weekly's Best 100 Books of 2009. Clean (though rather violent) and a great story, with good charactersm will be reading more. Great reading, great plot, great characters! This is the second book of The Great Way trilogy. 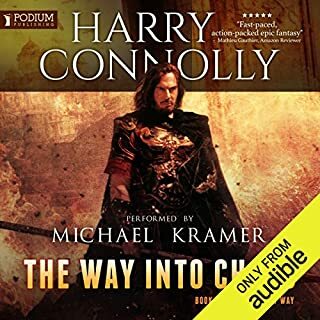 If you haven't read book 1, The Way into Chaos, read/listen to it first. 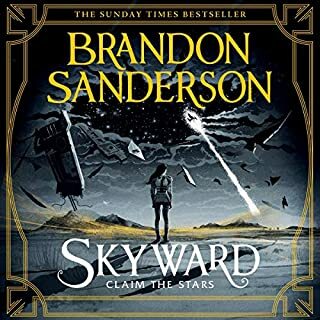 That said, this is a great middle book for the series, the characters change and grow, you learn new things about the world and plenty of unexpected things happen, the plot is really full of surprises. The performance is top notch, Kramer gets every nuance of the text and gives a strikingly individual voice to each character. This is a lively and interesting book, I highly recommend it! This is not a story in itself. It is the middle of a book. Poor splitting on the publisher, i assume. I like this series but unless you expect to take 3 books at once, be prepared for cliffhanger endings. This should be one big book since this author does not resolve any issues before ending the books. The world and characters are great. They realy should be making some guesses and trying experiments by now. The waiting for them to start i ad getting frustrating. This book was just starting to get good when it ended. More filler than the first but good book! 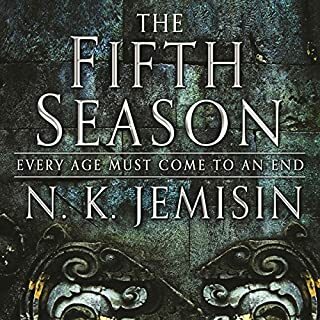 This is the 2nd book in the series and I enjoyed almost as much as the first book. I love that the characters have flaws and real emotions, there are no Mary Sue's or farm boys who are war gods the first time they touch a blade. My biggest complaint is that not much happened except the main characters traveling. Some big truths were discovered but this could have been streamlined. Cut the filler in half and combine with next book. The narration is great. Will definitely read next one. love the unsuspecting twists, not perdictable at all. thr narrator doea a great job on character differentiation with the voices. loved every minute! Masterful narration! Awesome story! Can't wait to purchase the next one. I shall recommend this book to my son. 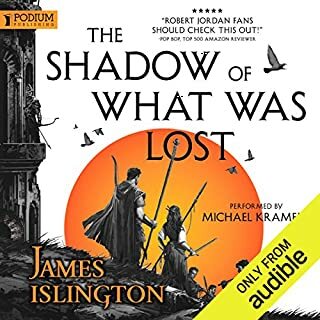 I read this in ebook format originally, but I couldn't resist spending some credits to get the audiobooks for a reread and I haven't been disappointed. The story is original, the characters believable, and the narration rock solid in the face of fantasy names. Great building of the sense of peril facing the protagonists. At this point, I don't see how they will possibly overcome it. That is rare when reading or listening to this genre. So many, try as they might to avoid it, fall into a similar formula, although some tell the story better than others. 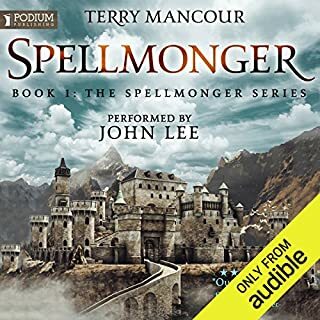 This author has not avoided all of the tropes, but his plot is based on one element that is unique enough that I hardly noticed, and the characters that represented them were believable enough to carry the story along without distraction. I finished this book in a day and a half! 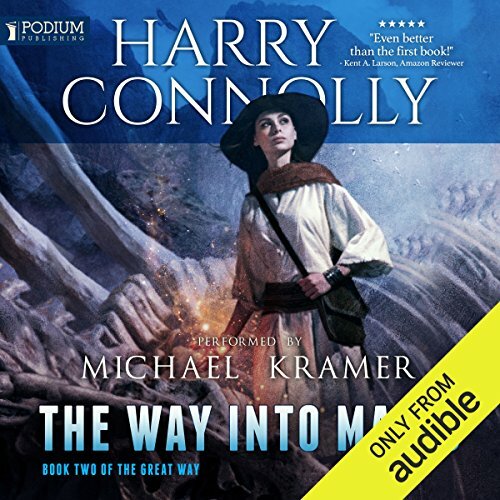 Then, of course, if I am ever on the fence about trying an author I do not know, and the description does not grab me, seeing that Michael Kramer is narrating it makes it a "no" brainer." He's that good. as usual the narrator can make or break a book and as usual this narrator stand out above many. so many voices, so much character and depth. the story has been amazing as well. plot twists and subtle intrigue. character development and so much life made real. I've done book one and two in rapid succession....will three be just as good...I imagine it will.